Our CAREGiver Helen McEntire has joined the blogger team for the influential news and blog site the Huffington Post. Helen, a mum-of-three and grandmother-of-five, has been a CAREGiver with our Epsom and Mole Valley franchise for over four years. She penned her inaugural blog entitled ‘A dementia diary, one day it could be you’ for the Huffington Post to mark this year’s Dementia Awareness Week running from the 17th – 23rd May. 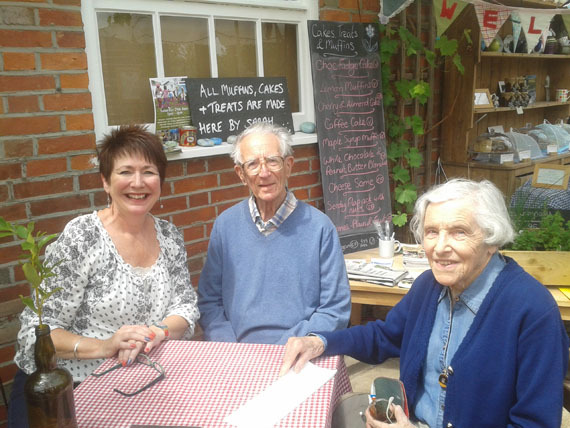 Helen’s blog features incredibly emotive excerpts from a diary she has kept for the last two years marking some of the most moving moments she has experienced while caring for clients living with dementia. She describes how the Home Instead care model gives her the time to make emotional connections with her clients and, through companionship, to join them in their world for a while. Please do visit Helen’s blog on the Huffington Post and if you find it inspiring, share it on your social media channels to help increase awareness during the national profile-raising week. And if you’re a fan of twitter the hashtag is #daw2015. Helen is one of 2,400 CAREGivers who have undertaken Home Instead’s bespoke City and Guilds qualification in dementia care, designed with national and international dementia and Alzheimer's experts. We care for nearly 2,000 clients living with dementia and we also work closely with their families too, to help them understand it better and how best to care for and treat their loved one. Through our Family Dementia Workshops we share this knowledge with family members as well as the broader community. We are very proud of the fact that to date we have helped over 20,000 people better understand dementia.